Scroll down the page for leaves examples. The leaves shown are for illustrative purposes only. The leaves that you will receive will very likely be using different types of leaves and different arrangements, but always beautiful. 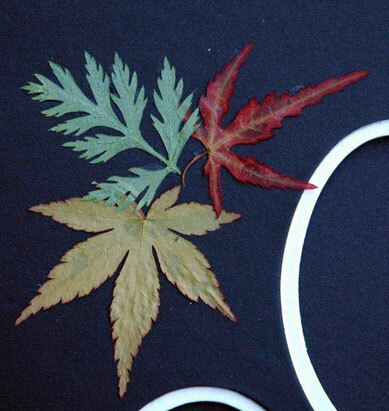 We will select leaves appropriate for the product you are ordering.